Experience the excitement from up close encounters with some of the wildest animals the Cape has to offer; coyotes, fox, raccoons, and whitetail deer, as well as hawks, owls, turkeys and countless species of songbirds. Come along as we call some of these species so close that you could touch them. These calling sessions offer some wonderful and exciting wildlife photography and video opportunities, or you may choose to simply observe these animals in their natural habitat. Wildlife calling is becoming a very popular way of adding some new excitement to many outdoor activities involving animals and birds. Instead of the old “walk and look” for finding animals and birds, to photograph or observe, which relies on a lot of luck and many hours afield, wildlife calling is exactly the opposite. With this approach, we find a good spot, called a “stand” (where you would expect to find the target animals), sit down in an area with a good field of view, “blend in”, sit still, call, and the animals come to us. In effect the animals are “hunting” us, which can lead to some very exciting encounters. Most animals can be “targeted” by using certain calls, but we never know what will show up to the call. If nothing shows up in 20 – 30 minutes we move to another area, and call again. During our outing, you will learn the methods necessary to be successful at calling wildlife and camera hunting. You will learn about the various sounds used for different animals. You will be familiar with the necessary equipment, hand calls, electronic callers, camouflage clothing, radios, decoys and stand selection. Plus, many special tips to improve your calling success. All trips will be custom suited to your interests. 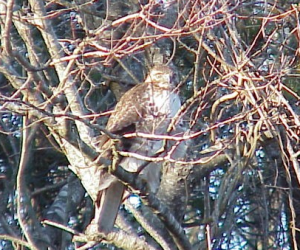 If you are a birdwatcher, we can concentrate on species of raptors (hawks and owls) or many different species of songbirds, or both. 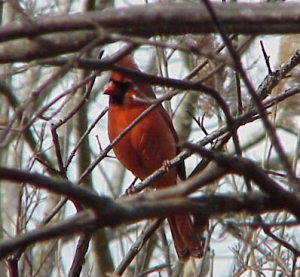 It is not uncommon to dozens of different species of songbirds at one stand. Night time is the right time for fur-bearing predators like foxes, coyotes and raccoons. 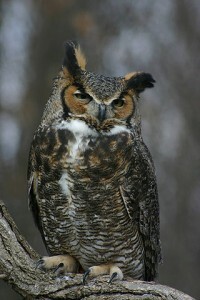 Great Horned Owls and Screech Owls can be called with consistency at night, when conditions are right. Nighttime calling is very productive and exciting. The sound of animals approaching in the dark really gets the heart racing! 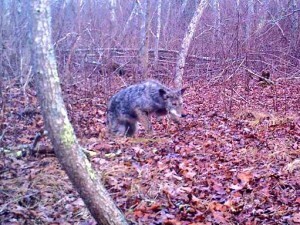 Cape Cod Wildlife Calling offers day, as well as very exciting night sessions. The time of day/night sessions depends on targeted species. The time of year may dictate what species we can call with success. Guided wildlife calling trips along Cape Cod’s many bike trails (both day and night). All trips weather permitting. Wind is the biggest factor. 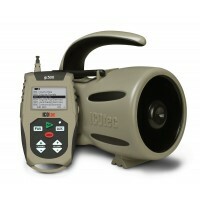 All necessary camouflage clothing and wildlife calling equipment is supplied. Two-way radio headsets are also available. All you need to bring is your camera equipment. We can discuss your interests and arrange a specific outing. 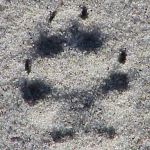 In the meantime, learn more about me and check out my wildlife calling blog for wildlife calling tips, product reviews, predator hunting tactics and other interesting Cape Cod outdoors and local wildlife articles.